100 Years Later: Why Remember? Every year, when 11th November arrives, we pause our busy lives for a moment and remember those who gave up everything while on active service. But why do we do this? Why is it important to remember wars from so long ago and the people they affected? I put this very question to Beaumont’s Year 7 students in yesterday’s Remembrance Assembly. We concluded that it’s important to remember the past because the past isn’t separate from us; it’s part of who we are now. For example, we talked about how people’s actions during the First World War impacted our world in ways that we can still see 100 years later. We also thought about the imprints we leave on one another and how we carry those with us through life. Even when death takes people away from us and we have to move forward without them, it doesn’t mean that those people are no longer significant - they’ve helped shape us, and that lasts long after they’ve gone. Remembering the people who’ve shaped us is a way of celebrating those people and it helps us to understand more about ourselves. So after the assembly, Year 7 joined the rest of the school in an act of remembrance. 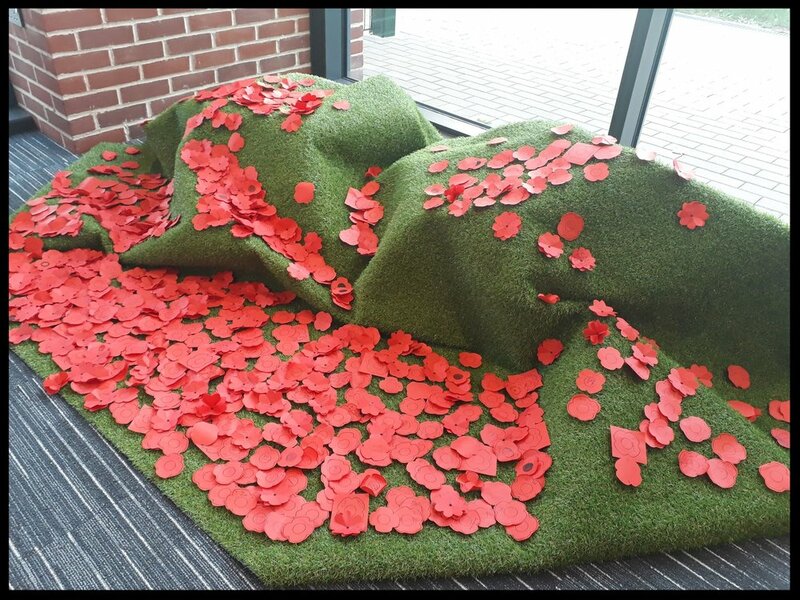 Every student wrote the name of someone they’d like to remember on a poppy, which they then placed on a Remembrance Hill in the school’s reception area. The display they’ve created is a moving reminder of Armistice Day for everyone who passes through the school. It’s also a wonderful tribute to the many individuals of the past century who have shaped the Beaumont community of 2018. Newer PostDo you talk about Tough Stuff? Older PostWere there news reporters in Jesus' day?